Supermarket executives are catering to a contingency of consumers who prefer to purchase organic produce, but guaranteeing that certain vegetables or fruit have not been treated with any chemicals whatsoever is quite a difficult endeavor. It's a problem procurement management professionals face when connecting with farmers that specialize in raising organic foods. Visiting a farm is one thing, but doing an extensive investigation of their past relationships and practices is another. Arduous as it may be, the process is still necessary because consumers dedicated to eating organic diets typically conduct background checks of the foods they intend to purchase. One should be cognizant of the fact that some farmers who originally intend to grow organic produce end up having to spray their crops with pesticides or fungicides. Ellen Knickmeyer of The Associated Press noted a case in which select agriculturists are contending a California pest-management program that many believe will be detrimental to the economic health of organic crop growers. The California Department of Food and Agriculture has responded by asserting that organic farming businesses will not experience any setbacks as a result of spraying organic crops. The reasoning behind this rebuttal lies in that farmers could instead market their crops as non-organic. However, the organic food niche market is one that many agriculturalists would be hesitant to give up. That's the viewpoint of Zea Sonnabend, a Watsonville, California, organic apple producer and member of the California Certified Organic Farmers group. "I would rather stop farming than have to be a conventional farmer," Sonnabend told Knickmeyer. "I think I am not alone in that." 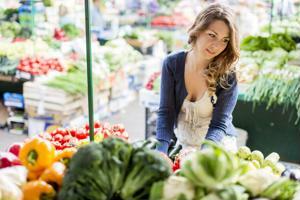 For some time, organic food has existed as a niche market, but for how much longer? In light of government mandates requiring farmers to treat what would be organic crops with pesticides, it's possible that some U.S. families may join farmers in their fight to combat state regulations. According to the Organic Trade Association, the popularity of organic products is increasing, as 81 percent of U.S. families reported they purchase such goods regularly, but not often. OTA CEO and Executive Director Christine Bushway noted this trend is supported by parents' desire to provide their children with healthier options. Overall, organic goods appear to become more popular every year. The OTA survey, which was conducted in 2013, found that the majority of respondents are buying more organic items now than they were a year ago. If these constituents could get more involved with public processes, organic farmers may still have a place in the U.S. economy.